Custom New Homes in Main Line - Vintage Development Co. Founded in 1980 by Vince D’Annunzio, Vintage Development Company specializes in the high quality construction of custom homes all throughout the Chester and Delaware counties of Pennsylvania. Along with custom homes, Vintage Development also produces entire semi-custom communities; joining together single family homes in neighborhoods that any resident, or prospective resident, of Chester or Delaware County would be proud to raise their family in. In partnership with an expert architectural team, Vintage Development is constantly creating new designs to meet the ever changing needs of those looking for a high quality and custom built home within the area. At Vintage Development, we have homes that are ready for your family to move into right now, as well as homes currently under construction. Our move-in ready homes are built with high quality construction in mind. If a little further customization is preferred, our in-construction homes give you the opportunity to have a say in the final result. All of our move-in ready and under construction home listings are available for viewing here. 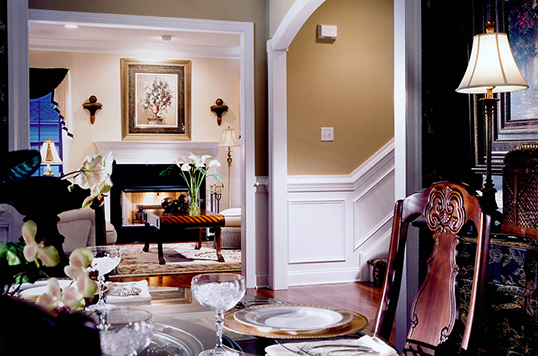 Your home is your personal sanctuary, and the custom experience we provide to the Chester and Delaware county communities allows home-buyers to create their own home from the ground up. Our custom homes at Vintage Development give you the opportunity to not only invest in a home, but invest in a place you can truly call your own. If you wish to customize your existing home, we also perform renovations on all different types of homes within the area. At Vintage Development, we want to uphold the historic beauty of the Main Line region, and we do our part by buying unused properties and turning them into something the community can be proud of. Developing old vacant lots, tearing down disheveled homes for a total rebuild, and rehabilitating old properties are ways that we are able to use our creativity and high-quality construction process to eliminate eyesores and provide the Main Line area with the aesthetic it deserves.